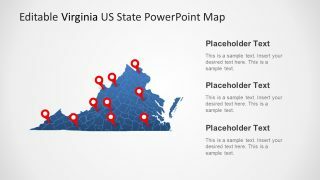 The Perspective World Map for PowerPoint is an interesting tool for geographical presentations. It is an earth map silhouette layout with location pin clipart icons. Here, a slightly lay back placement of map is referred to as perspective. This is a single slide PowerPoint showing all continents over longitude and latitude grid flat design. 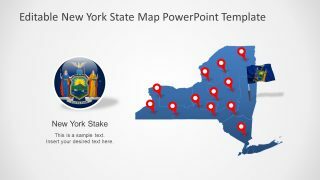 Further, it is an infographic perspective map of editable shapes and icons which is suitable for business presentations. For example, visualizing geographical data during product marketing and sales strategy meeting i.e. global reach. Or, defining sales territories or potential of opportunities in the global market. 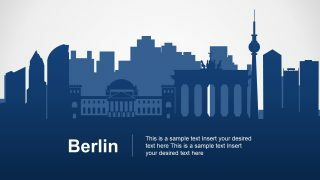 Moreover, this world map slide could be used to mark various location while showing path during travel route discussions. 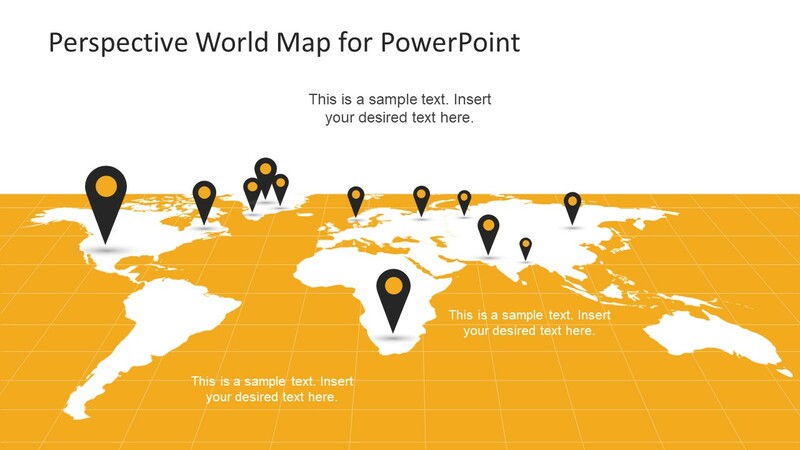 The Perspective World Map for PowerPoint has a honey yellow and white background. These colors help with the map to stand out. Furthermore, the GPS location markers have same honey yellow color inside a black pin shape. 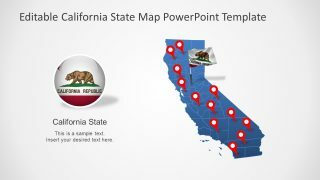 These location markers are editable PowerPoint objects and users can reposition them anywhere on the map. The users can also change the color fill of perspective world map silhouette from drawing format menu. Or, alter the white or yellow grid background. Similarly, change the content of text placeholder and highlight keynotes of a topic. It is a flat projection map template of earth assisting to easily identify various countries. Therefore, users can copy this slide to any presentation of for global business concepts. Such as diversity, international shipping, tourism etc. But more importantly, in company introduction PowerPoint of large organizations.